Topher, Brand, and Steve know this better than anyone. 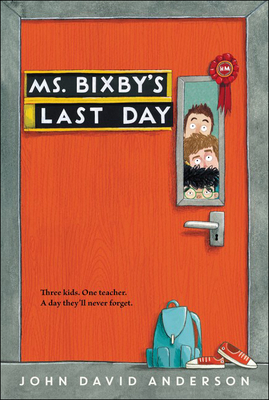 And so when Ms. Bixby unexpectedly announces that she won't be able to finish the school year, they come up with a risky plan, more of a quest, really, to give Ms. Bixby the last day she deserves. Through the three very different stories they tell, we begin to understand what Ms. Bixby means to each of them and what the three of them mean to each other.